Scores of League of Legends fans were treated to a K-Pop mash-up at the World Finals in Incheon, South Korea. 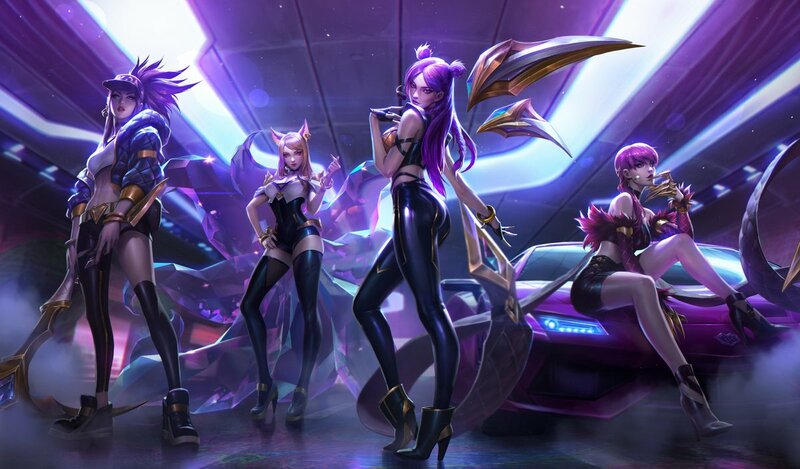 After surprising watchers with an AR dragon at the opening ceremony last year, Riot took it to the next level by turning champions Akali, Ahri, Kai’sa, and Evelynn into a K-Pop girl group named K/DA for the 2018 tournament. Fans would have already heard of the K/DA skin line, but little did they expect that these characters would band together for a live performance with a killer new track. During the opening segment of the most-watched event of esports, you’ll see the actual singers dance next to their champion counterparts on stage thanks to augmented reality. The track dubbed POP/STARS features two K-Pop idols from the group (G)I-DLE, Miyeon and Soyeon, as well American artists Jaira Burns and Madison Beer. League of Legends have taken the song a step further by releasing an official music video for POP/STARS and you can even find the track on Spotify if you’re looking for your next party jam. Featuring popular elements found in K-Pop from the choreographed dance routine, to the rap break, and all the way to the visual style, this animation brings the four champions to life while simultaneously showing off the new cosmetics for the game. It’s unlikely we’ll see more singles from the girls of K/DA, but as far as marketing campaigns go, Riot knows how to put together a memorable collaboration.